Wall, window and ceiling mounted (not pull cord version). Suitable for bathrooms. Part F compliant. Airflow:88m3/h, 24L/s. Sound:32dBA at 3m. IPX4. Part 83172 requires 51096 for window installations. Wall kit 83154 or window kit 34136 . HWD: 155 x 155 x 47mm. 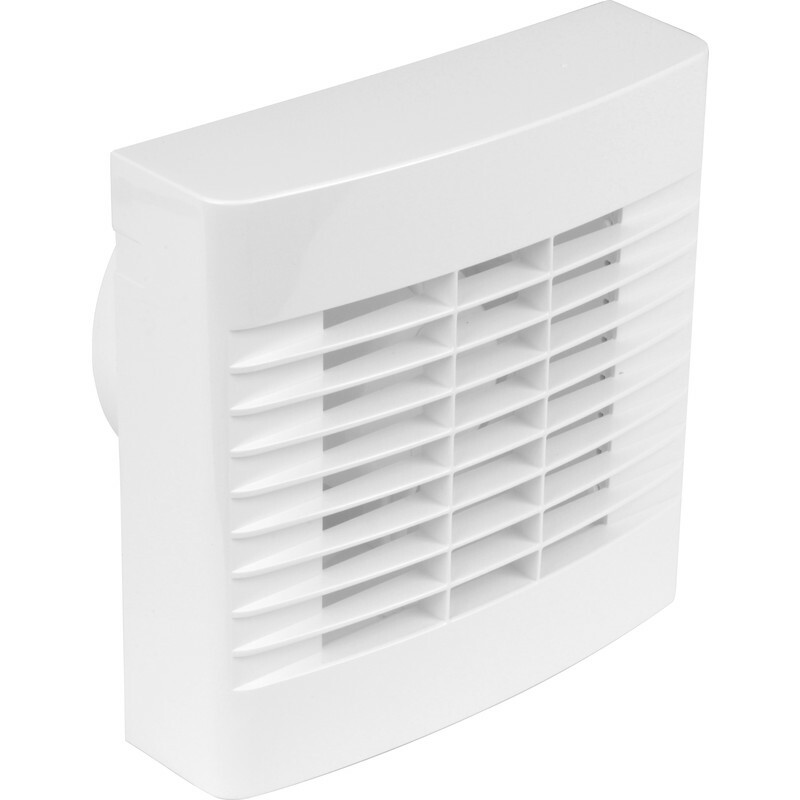 Airvent 100mm Extractor Fan Pullcord IP44 is rated 4.1 out of 5 by 37. Rated 4 out of 5 by Bugsie from Fan - tastic. Bought to replace a burnt out fan motor on another more expensive make. However this make was cheaper and just right for the job. Rated 1 out of 5 by Mf606 from Dodgy unit Purchased and fitted same day. Failed to work at all. Returned for refund. Rated 5 out of 5 by Hippy from Great value item Needed a cheap replacement quick, bought this at a great price and it works well and it's quite quiet. Rated 1 out of 5 by Bennnnn from Does not work The fan does not kick in when there is humidity in the room, even when you alter the setting inside. You have to pull the cord to operate it but then it won't turn off. I will be taking the fan back to the shop on Monday. Rated 5 out of 5 by Barracuda from Great little unit Purchased this one to replace an old noisy one, what a difference.